Bright environments, enabling children with wide-ranging abilities to play together! Discover how inclusive playground designs are enabling children with wide-ranging abilities to play together and learn through a shared medium which they all understand - play. Outdoor play is not only vital for children with special needs to develop their health, but it also offers opportunities for positive learning environments and increased social inclusion. 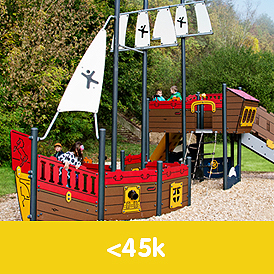 Our adapted SEN playground equipment offers a safe environment for stimulating the senses, encouraging imaginative play and prolonged concentration while providing an inclusive space for group play with other children. It’s important to us that our Special Needs Education playground equipment considers children of all abilities, helping every child to feel valued and included during play. At Kompan, we work closely with schools, education centres and parents to build dedicated areas for safe, accessible and interactive play. 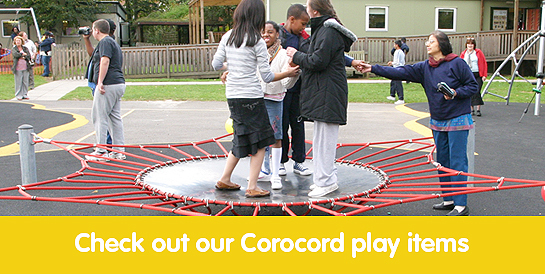 This encourages socialisation while working to improve important motor skills through options of touch, sight and sound. Happy, healthy children lie at the core of our company values and our team endeavour to ensure that opportunities for social, stimulating and learning play are given to all, no matter their age or ability. 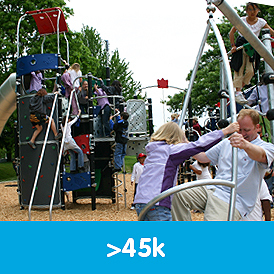 Our goal is to ensure that no child is left behind on a Kompan playground. Speak to our team today on 01908 201 002 for more information about our products and services. 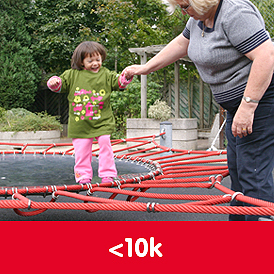 Accessible – Dedicated inclusive play equipment that can be used by children of all ages and abilities as a group, with parents or solo. Multifunctional – Our SEN play equipment offers plenty of benefits for children, from encouraging the development of motor skills to promoting socialisation and sustaining concentration. 360-Degree Design – Special Education Needs playground equipment that has been designed to facilitate play from all sides of the equipment. Diverse Play Opportunities – Providing schools with playground equipment for Special Needs Children that engages the senses, promotes group play, brings imagination to life and most importantly, gives every child an opportunity to enjoy themselves. 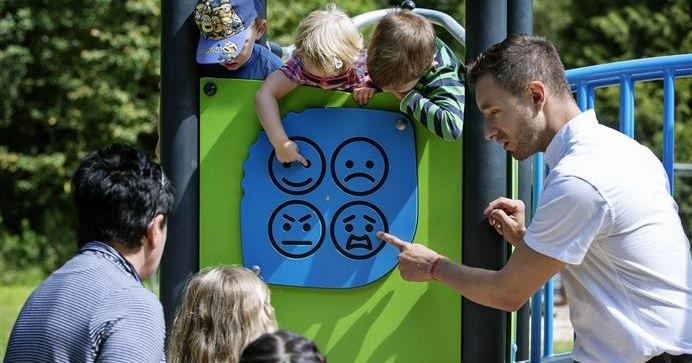 Clear in Colour and Design Signals – Bright, attractive colours and clean, rounded designs offer Special Education Needs children a clear indication of safe areas to be aware of when play equipment is in use. 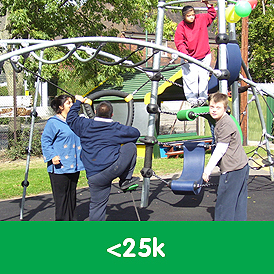 Providing Solutions for Special Needs – Choose from dedicated wheelchair-friendly SEN play equipment and autism-friendly interactive activities or talk to us about creating a comprehensive playground solution for your Special Education Needs students. We have worked with schools around the country to provide comprehensive solutions for individual SEN students to entire student bodies. Feedback has been consistently positive with teachers and staff reporting increased attention in class, fewer behavioural problems during lunch and all-around happier, more involved students. Our experience allows us to work closely with schools in order to accommodate all abilities, regardless of age. This allows us to offer SEN children their own dedicated playground area to develop social, cognitive, behavioural and creative skills while ensuring it is safe for children of all capabilities to enjoy. 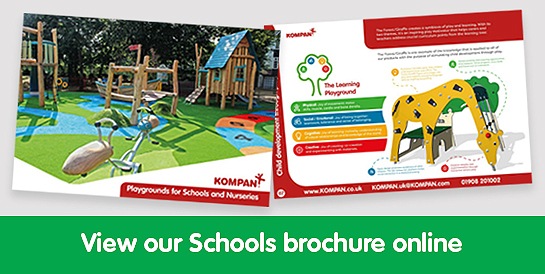 Invest in a Kompan SEN playground for your school today and ensure that no student gets left behind. Get in touch with one of our team today on 01908 201 002 for more information about our products and services or click here for your no-obligation, free quotation.